It is Queen’s Day in The Netherlands! The last one though, as Willem-Alexander van Oranje is King of The Netherlands as of the 30th of April 2013. So next year, we will have a King’s Day on the 27th of April (his birthday). Or actually, in 2015, as the 27th of April in 2014 is on a Sunday (and it will be held a day earlier). 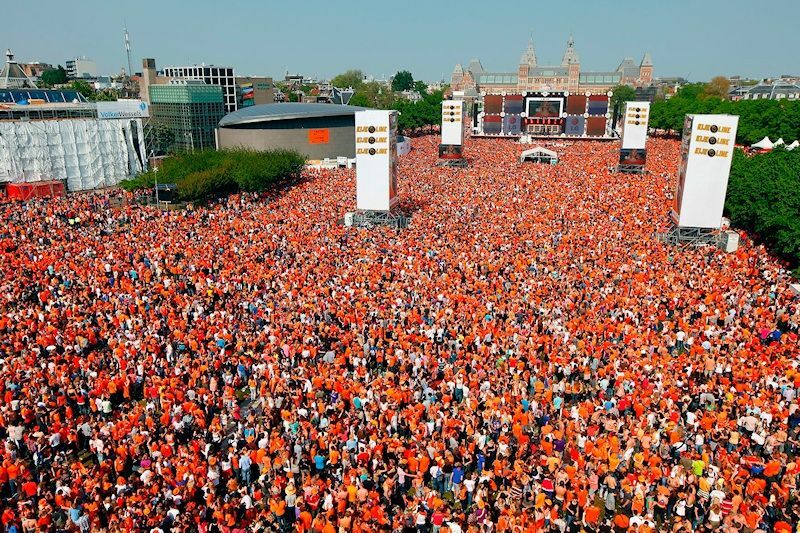 We wish all our fellow Dutch people a nice Queen’s Day and hope they enjoy the crowning of Willem-Alexander. After 33 years as the Netherlands’ head of state, Queen Beatrix will formally abdicate today. 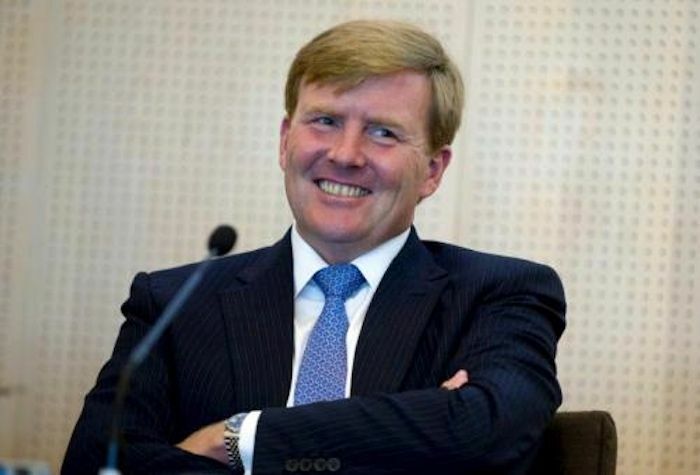 Rumour goes that our new King, Willem-Alexander, also loves watches. We’ve found a photo of him, wearing a Rolex Datejust. Anyway, the Fratellowatches team is in Baselworld this year and can’t celebrate our Queen’s Day properly (as pictured above). 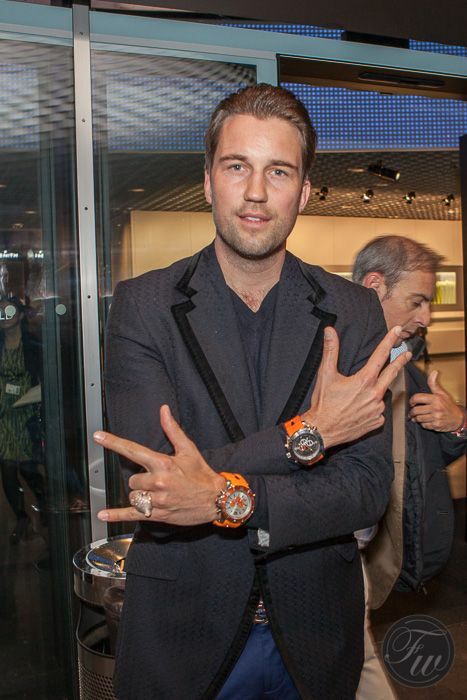 Therefore, we decided to do a celebration in style and picture all the orange watches we saw during this year’s Baselworld. Orange is ‘our’ national colour and we were able to find some watches with orange straps, hands, dials and even one with a rotor. Not all models are introduced this year, but all the brands you will see in this article were very happy to cooperate with us. So some of them were able to hand over watches that were already introduced in previous years but were available for a picture. Outside the Baselworld building, we ran into DJ Antoine (Antoine Konrad). You might know him from “Welcome to St Tropez” and “La Bella Vita“. DJ Antoine is wearing his orange Kyboe watches. Dutch independent watchmakers Bart and Tim Grönefeld did a unique piece for a client, with an orange hand. A Baselworld 2013 novelty, the Seamaster Planet Ocean with a GMT function. 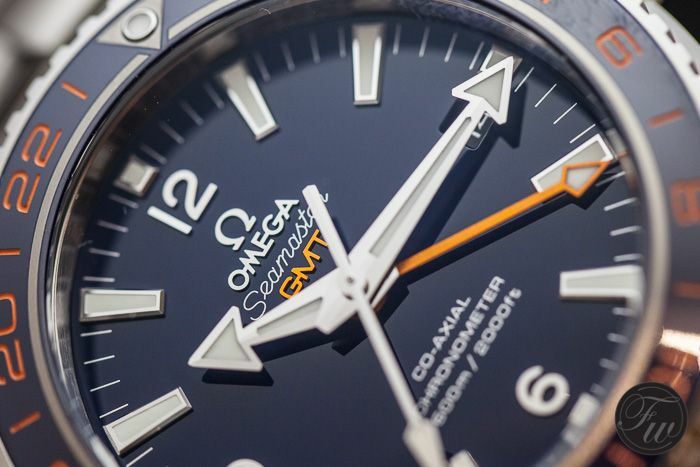 The GMT hand and 24 hour hand are orange. 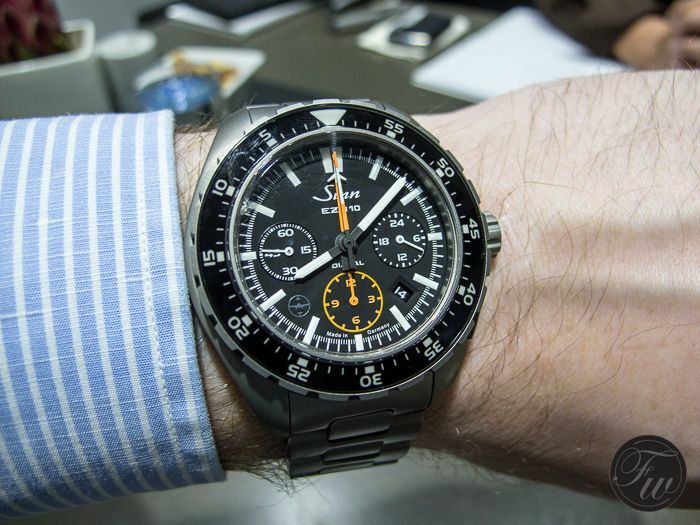 The Sinn EZM10 features an orange chrono second and minute hand as well as the hour recorder at 6 o’clock. 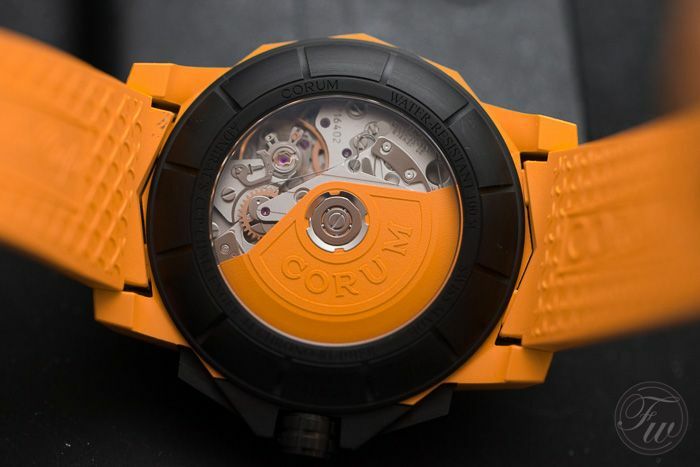 Corum’s rubber Admiral’s Cup Challenger of this year is yellow, but last year they introduced the orange version. It not only has a rubber case and strap, also the rotor is made out of vulcanized rubber. Also new for 2013’s Baselworld is this Blancpain L-Evolution limited edition. 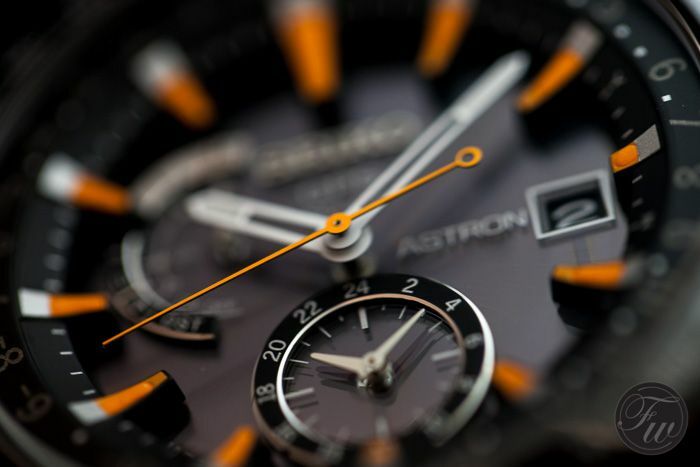 Orange coloured rings around the sub counters, an roange pusher and an orange tip of the chronograph second hand. Also, this watch has a nice matching orange stitching on the strap. Introduced a couple of years ago already, but definitely something with an orange second hand and minute indicators (5..10..15. and so on). 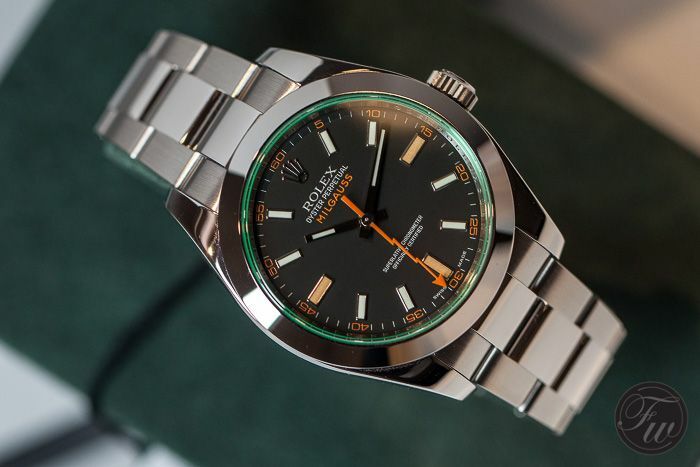 The wording “Milgauss” on the dial is also in orange. Our contact at Rolex was able to get a Milgauss GV for us so we could take a picture of it for this article. 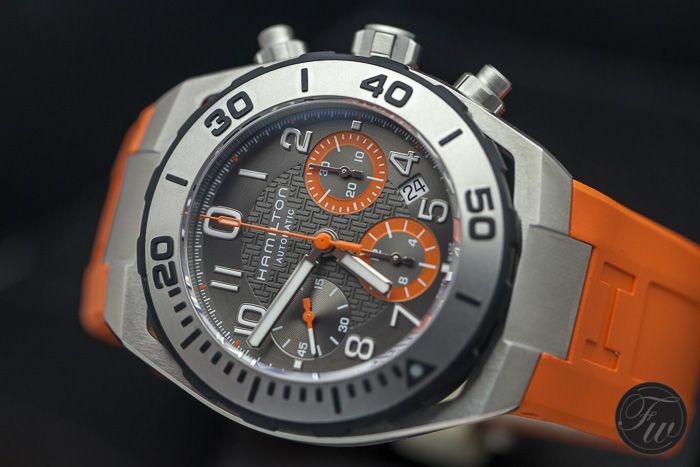 Marvin had this chronograph available for us in orange, from their 2012 collection. The strap is orange and the dial has a few orange elements. At the Seiko booth in Baselworld, we’ve found this Seiko Astron. A watch that is controlled by GPS and will therefor always tell you the exact time. 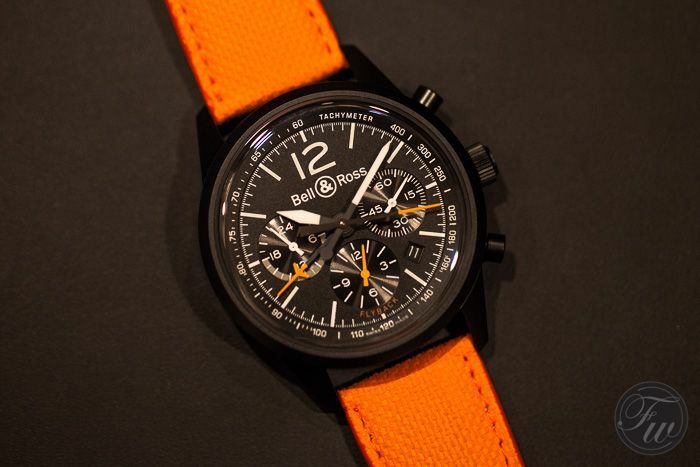 This Bell & Ross 126 Blackbird is from their Vintage collection. 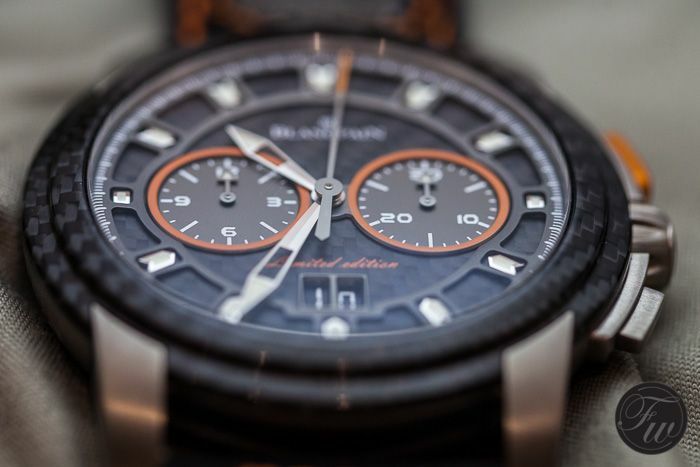 An impressive black chronograph with an orange strap, orange tips on the center chronograph hands and a small orange hour recorder at 6 o’clock. Limited to 500 pieces and with a flyback chronograph. 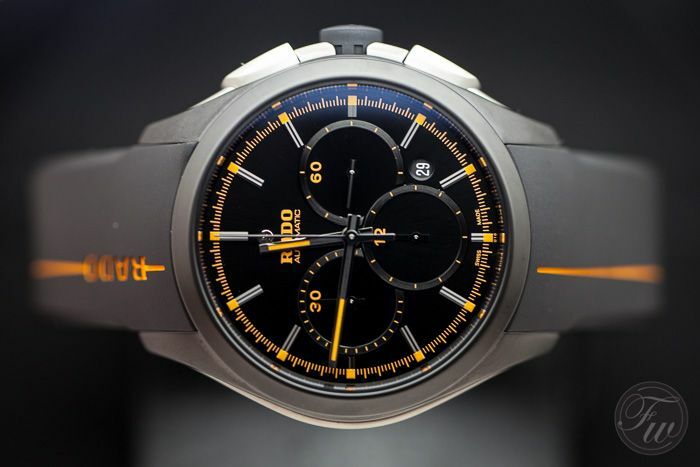 Rado showed us this Hyperdome Court timepiece. 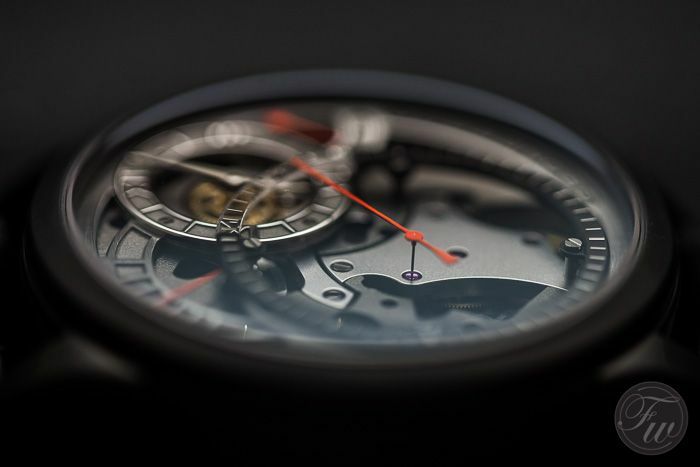 A watch that is connected to tennis and features a chronograph movement. Available in a number of colors, including orange. The rubber strap has some orange elements, the wording on the dial is in orange and the hour and minute hands have orange on them. Hamilton showed us this year the Khaki Navi Sub. 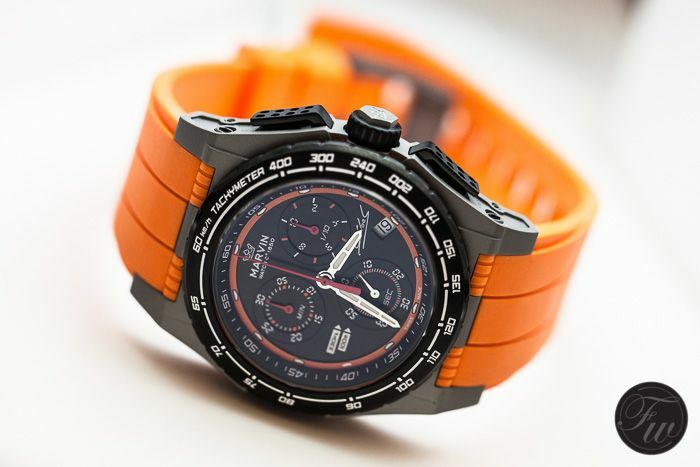 An automatic 43mm timepiece that is available with a black or an orange rubber strap. Of course, we selected the orange model. The sub counters and chronograph second hand are also orange. We wish Willem-Alexander all the best and we hope that the future King’s Day celebrations will be as nice as our Queen’s Days. We also hope to spot him more often with nice watches as well. We had to do our very best to find him wearing a watch on photos we’ve seen on the internet. In the end, we’ve found Willem-Alexander wearing a Rolex Datejust on this picture. We also know that our new Queen Maxima has a Rolex. A crown for a crown! We’d like to thank all the watch brands for their cooperation. All of them responded and we even did extra appointments to have them search for a suitable (orange) timepiece. Much appreciated.